The BA103 Preludia dining table is the result of a collaboration between Carl Hansen and the designer Brad Ascalon. As part of the Preludia series, the table is characterised by minimalism and clear lines that seamlessly fit into any environment. Ascalon's fondness for mid-century design as well as his modern, reduced style are clearly recognised, so that the table integrates perfectly into the assortment of the Danish manufacturer. Thanks to its rounded edges and soft contours, the table has an almost organic expression that is reinforced by the harmoniously-shaped frame made of solid wood. The round laminate tabletop rests on a base with four conical legs that taper slightly towards the floor. Not only the material, but also the colour contrast of the base, create an exciting overall structure. 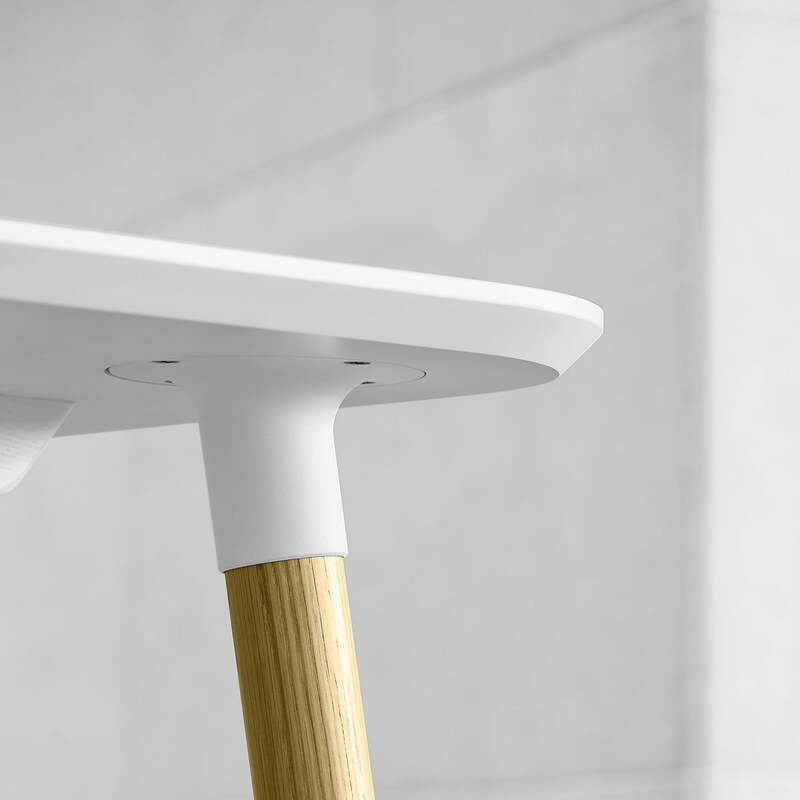 Thanks to the diameter of 120 cm, the table can seat 4-6 people to dine, play, and chat together. In addition to the table, the matching Preludia chair is also available to create a harmonious dining area. 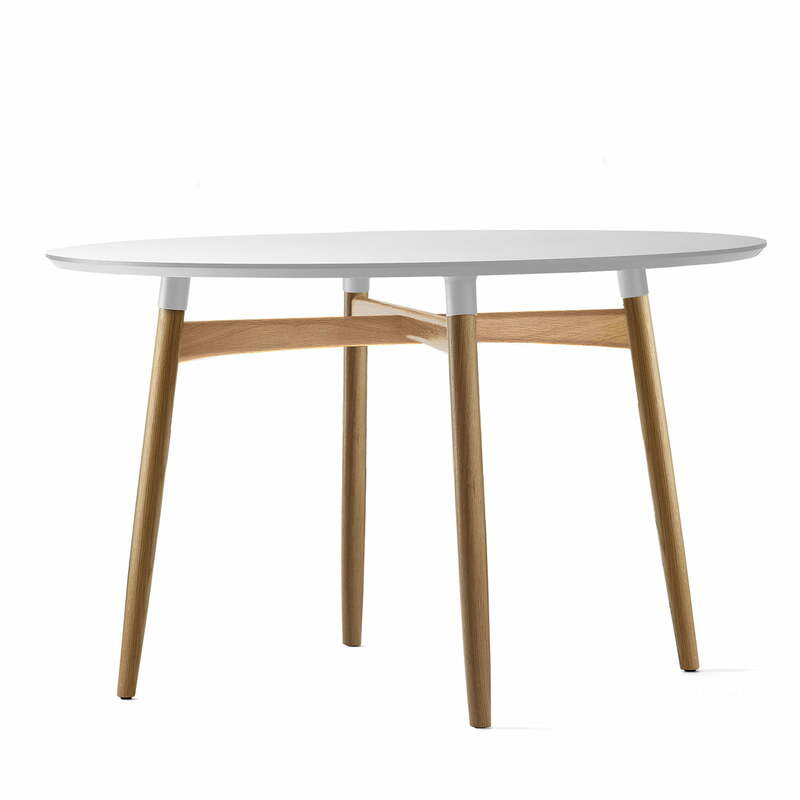 Isolated product image of the BA103 Preludia dining table Ø 120 cm, white laminate / oak. The BA103 Preludia dining table is a creation by Brad Ascalon for Carl Hansen. While the organically shaped frame is made from solid wood, the round table top consists of laminate. Detailed product image of the Carl Hansen - BA103 Preludia dining table. Thanks to its rounded edges and soft contours, the table has an almost organic expression that is reinforced by the harmoniously-shaped frame made of solid wood. 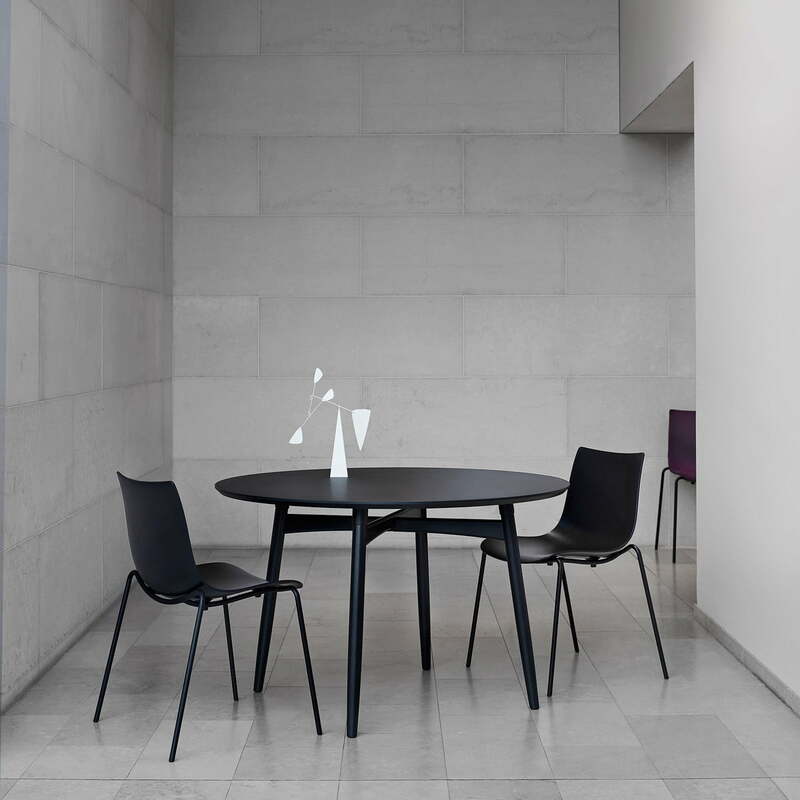 Lifestyle product image of the Carl Hansen - BA001T Preludia Chair with Matching BA103 Preludia dining table. Thanks to the diameter of 120 cm, the table can accommodate from 4-6 people to dine , play, and chat together. In addition to the table, the matching Preludia chair is also available to create a harmonious dining area.